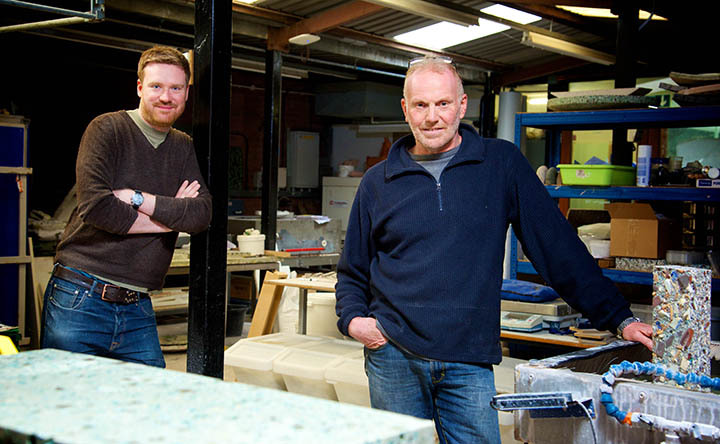 The minds behind Jonathan Hindle Prize winner Silicastone are developing a ‘new consumer product family’ of sustainable materials. Professor David Binns and Dr Alasdair Bremner developed Silicastone while conducting a research project at the University of Central Lancashire. The pair were exploring ways in which waste and low-value materials might be productively repurposed. During this research they developed an innovative and versatile material made from glass, ceramics and mineral waste. Silicastone is available in three 3D tile designs, as well as in solid-surface blocks for furniture and counter tops. 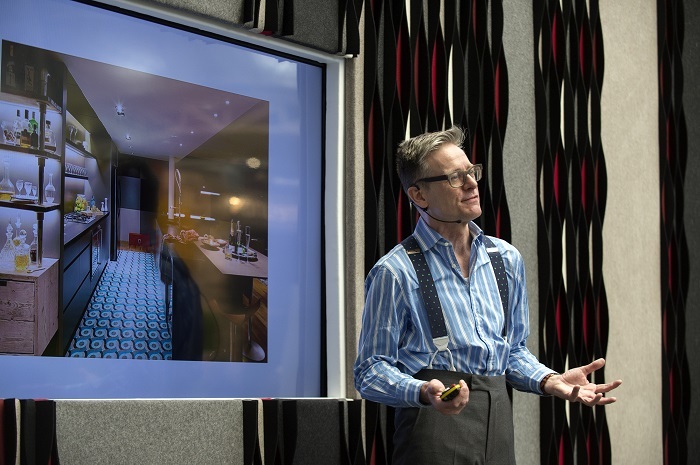 David and Alasdair founded the company Alusid with the aim of making the material available to architects and designers. 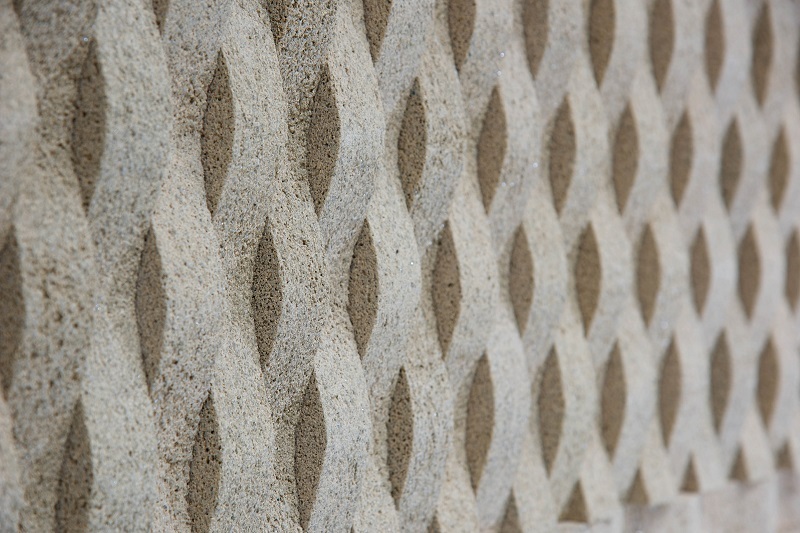 Silicastone can be cut, ground, polished and glazed just like traditional granite. 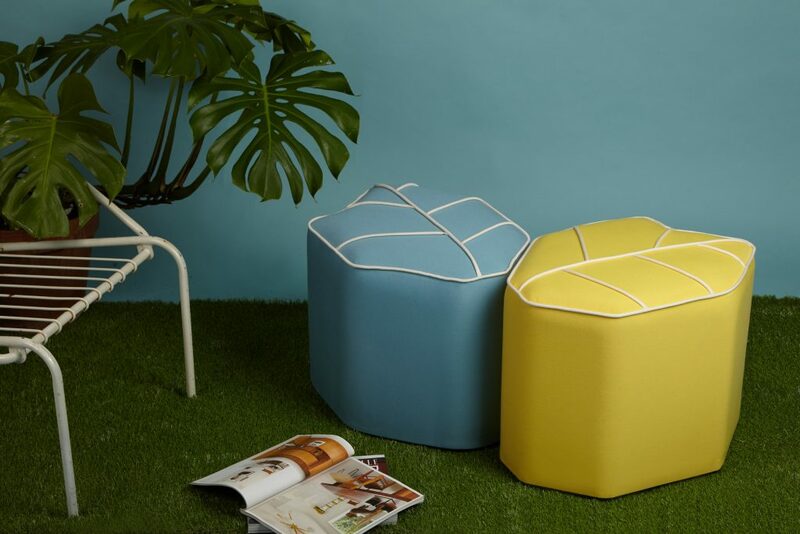 Silicastone was one of three pieces to win a Design Guild Mark in the award’s new 2D category. The judges were bowled over by the material and instantly saw the potential in its application. 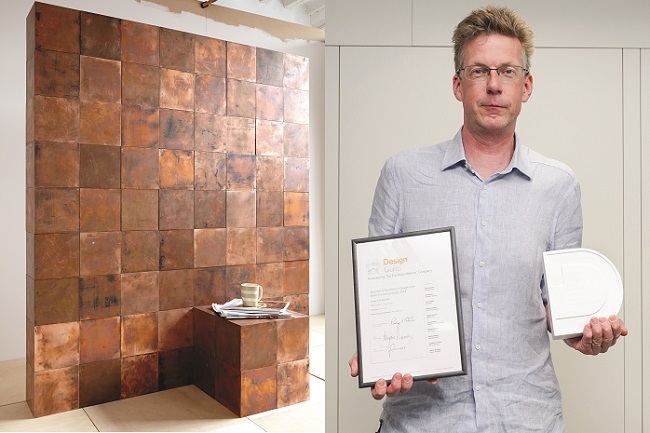 It was for this reason it was named the best design in the 2D category and winner of the Jonathan Hindle Prize. Alusid hope to launch the new consumer product family later this year. 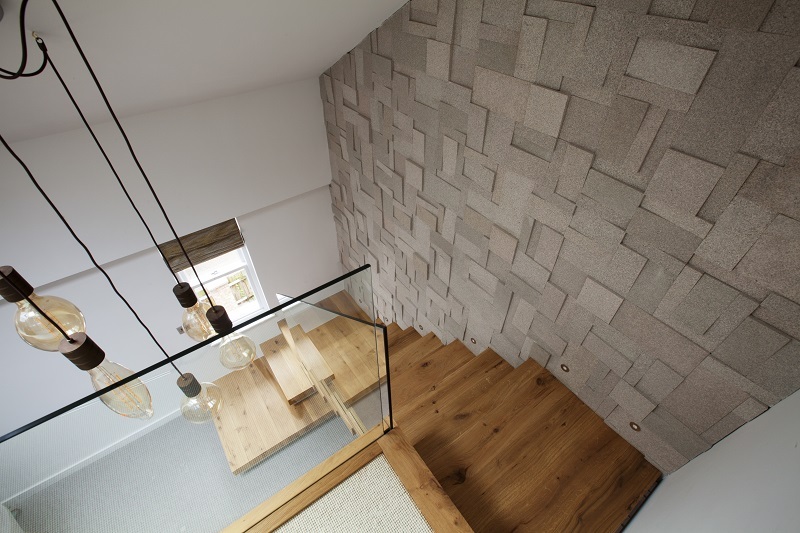 Silicastone is sold solely by Panaz in the UK. More information is available here.